This book is appropriate for management students for appearing NET and all other competitive examinations in the field of Management. My sincere and deliberate efforts have been devoted to give the book comprehensive form. All units have been discussed in a very simple and lucid language so as to make the subject easily understandable to my beloved students. This book provides detailed information about the management related areas with simple language with easy examples. Dr. Debasish Biswas presently serving as an Assistant Professor and Head in the Department of Business Administration, Vidyasagar University, West Bengal. He has been awarded Ph. D. degree i n commerce in 2011, University of North Bengal and M.Phil in Commerce from Periyar University in the year 2008. Dr. Biswas obtained his M.Com in 2000 and MB A (HR) in 2002 from Burdwan Universi ty He obtai ned Diploma in Labour Laws, Post Graduate Diploma in Hospital Management, Marketing Management, Entrepreneurshi p, and Financial Management from Annamalai University. 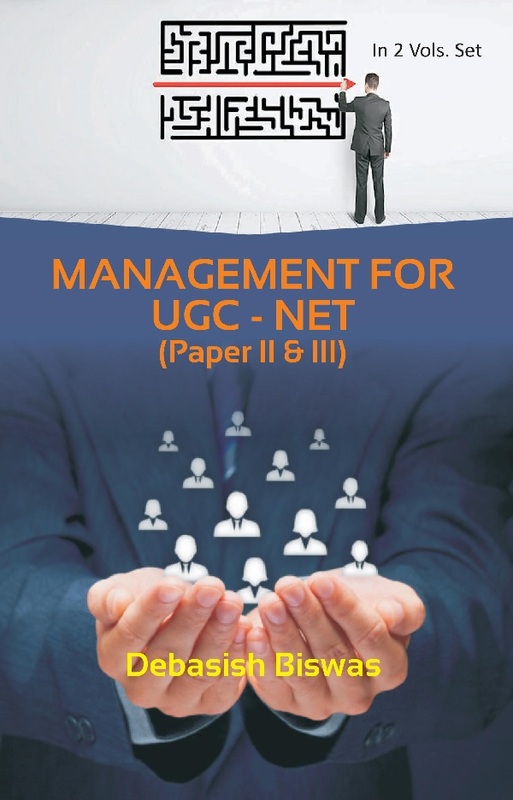 Dr. Biswas qualified UGC-NET on Human Resource Management in the year 2008. Dr.Biswas holds more than ei ght year s Post - Graduat e t eachi ng experience. Dr. Biswas has contributed 70 research papers in National and International conferences, 30 research papers in National and International journals of repute. He is a life member of ICA and IAA. He has authored eight books titled: 1. Management Information System, 2. Fundamentals of Financial Management, 3. Industrial Relations & Labour Welfare, 4. The Romance of Human Resource Management,5. Relationship between Productivity and Industrial Relations, 6. Compensation Management,7. Human Resource Management for UGCNET, and 8. Dynamic Evolution of Management Paradigm (Edited Book). He received Best Business Academic of the Year Award -th 2016 (Gold Medal) at the 69 All India Commerce Conference.